I was recently asked how long had I been a fan. I replied, almost thirty years. That got me thinking. Timing was an important factor in affecting which music would responate with me. 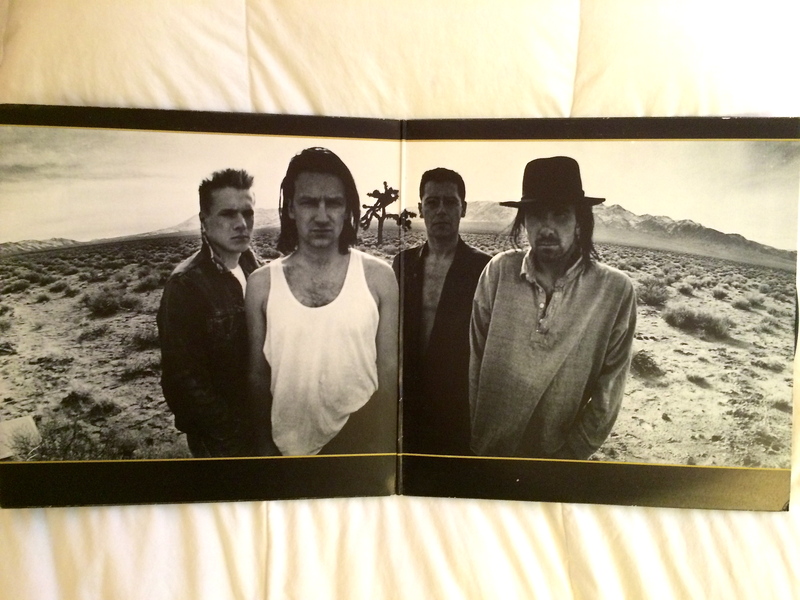 The Joshua Tree was the album that came at a pivotal time in my life. We all have stories about life-changing experiences through music. I was in high school and like most teenagers, spent much of my time listening to music. My parents were divorced and my younger sister and I lived with our father. One day my father came home from work and told me he had to tell me something. He liked to read the afternoon paper spread out while the sitting on our living room floor. With very little emotion, he told me that his nagging cough turned out to be lung cancer. It was also at an advanced stage and the doctors said he had about a year and a half. I sat on the floor next to him not knowing what to say and then started crying. I didn’t make a sound but my tears began to fall on the newspaper. He patted my back and said, “Don’t worry son, I’m gonna beat this thing. Why don’t you make me a cup of coffee?” I think he did that because he wanted to give me something to do, which I did. I was never more worried that day in my life. My father was a tough old guy and I thought that if anyone could beat it, it would be him. His treatment was aggressive requiring chemotherapy and surgery. His oncologist was optimistic and we all were relieved when he told us they got it all out. We cared for him during his illness and I really and truly believed he was going to recover. I thought, he’s going to get better and I can go back to being a kid again. But he didn’t; he actually got sicker. The doctors gave him a year and a half, and he died in nine months. Afterwards, I struggled for a long time and nearly bottomed out. When Joshua Tree came out a year later, it stuck a chord with me. I remember hearing With Or Without You for the first time on the radio. It sounded so different than other rock songs at the time. The beginning was so gentle and quiet and distinctive, but most of all, peaceful. It didn’t start like any other song. Whenever I heard Larry’s soft drumbeat followed by Adam’s muted bassline I knew within the first couple seconds that it was With Or With You. Those days I primarily listened to was hip-hop, pop and soul. I didn’t listen to rock much; I just wasn’t into it. But there was something very different about U2’s music, especially Joshua Tree. I found myself not changing the station when their songs aired. They didn’t sound like other bands and I liked that. By the time I Still Haven’t Found What I’m Looking For debuted, I decided to buy the album. As a lower-income kid living in San Francisco, I had to get a part-time job if I wanted to have any money. My mother didn’t earn much and couldn’t afford to give me an allowance. So, I got a job as a baker’s assistant at the local French bakery (which isn’t as romantic as it sounds) making $3.25 an hour. These were the late-eighties, but even then it was considered a low wage. The work was hard but it gave me an income, so I could buy things like music. It was the first rock album that I had ever purchased. I had to wait until the weekend because my mom wouldn’t let me drive to Tower Records on a school night. So on a sunny Saturday afternoon I drove to the Tower Records in North Beach and bought my first U2 record. I remember marveling at the nearly all-black album with the band members looking so serious against a stark desert landscape. I remember thinking these guys are cool. Not wanting to wear out the record, I bought some chrome-metal analog cassette tapes to make a good recording. Metal tapes were all the rage back then and I was willing to spend the extra money to have the best tapes for my car and boom box. I spent the rest of the weekend listening to the album and thought that if more bands would sound like them, then I’d be a rock-music guy. It was a whole different realm to me. But it was the third song on their album that really grabbed me. I was still grieving from the loss my dad and when I heard Where The Streets Have No Name it felt like the person in that song was thinking and feeling the same things I was thinking and feeling. In the first stanza when Bono sings, “I want to run, I want to hide. I want to tear down the walls that hold me inside.” I kept thinking, that’s me. I did not know it at the time, but I was actually suffering from depression. With all of the wisdom of a teenager, I assumed depression was something adults got, not kids. That depression was like walls all around me slowly closing in until it crushed me. I just wanted to tear it down and break free, but I didn’t know how. During that summer of 1987 U2 was playing everywhere, which was okay by me because I loved that album. Whether it was Where The Streets Have No Name or I Still Haven’t Found What I’m Looking For (and so many others) those songs captured my mood during a difficult time in my life. The longer I listened the more I realized that Bono was a bona fide poet. His lyrics were transcendent. Listening to the album made me feel less sad and at times, happy. I would lie on my bed with my Sony Walkman playing at full volume and imagine that I was the voice in those songs. It was in those moments I would think: Maybe I’m going to be okay, because I feel okay right now. I was still a long way from recovery, but I was getting there. And what happened next turned out to be exactly what I needed. 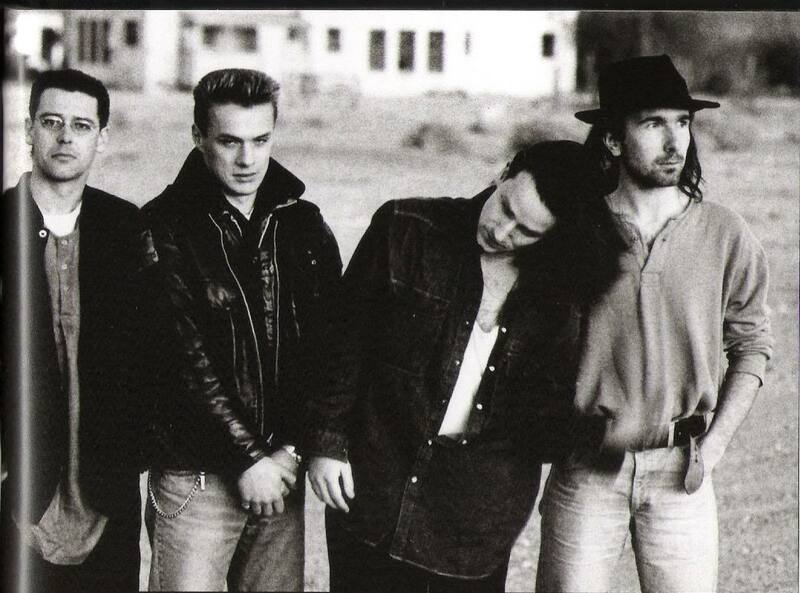 This entry was posted in Music, Uncategorized and tagged #80sMusic, #80sRock, #U2JoshuaTree, #U2music, #U2rattle&hum, #U2rock, u2 by achtungninja. Bookmark the permalink. On the power of great lyrics and great music, by my buddy Rich Horiuchi. Hey Glenn, as always thanks for the support! Thank-you for reading my post and especially your comments. I love your metaphor of music being the lighthouse of the soul. It truly can be a beacon during those dark nights of the soul. Your compliments give me inspiration to continue! Rich.. Very heartfelt story. and well told. It interested me because I lost my father at a much earlier age and much earlier time, 1937. He committed suicide when I was twelve years old. I shed no tears I think because I didn’t know what death was. Just a vacuum. Times were desperate. No money so my younger brothers and I ended up in an orphan home. From the orphan home directly into the WW II Army Air Corps.
. One learns more from suffering and failures than from success. Thank you for your kind words. It is so rewarding to know that my story has touched my readers. I’m sorry to hear about your father and know you know what is like to lose a parent at a very young age. And to have no other option than to going into an orphan home, it must have been very difficult. But, you came through and served our country on top of that. So, thank you. My father served twenty years in the Army and fought in Korea and Vietnam. He was hard man and didn’t make things easy for me, but he was easy to love. It’s been thirty years and I think about him every day. Thank you for reading my post and your comments. I’m still figuring out this blogging thing.